She was born 30 JAN 1930 in Hardin county, TN. She died 23 MAR 2004 in Lowell, Massachusetts. She married Gordon Marsh Reid on 24 DEC 1951. Their known children were Beryl Reid, Rebecca Reid, Gordon Marsh Reid II, Melinda Reid and Michael Reid. He was born 5 MAY 1908 in Hardin TN. He died JUN 1982 in Corinth MS. He married Nellie Drue McKinney on 1927 in Kendrick, MS. Their known children were Nellie Rosemond Shipman, Billy Granville Shipman and Melba Ruby Shipman. She was born 15 MAR 1911 in Hardin county, TN. She died 15 JUN 1996 in Chula, Tift county, GA. She married Garland Shipman on 1927 in Kendrick, MS. Their known children were Nellie Rosemond Shipman, Billy Granville Shipman and Melba Ruby Shipman. He was born 20 FEB 1875 in Hardin TN. He died 20 DEC 1918 in Hardin, TN. He married Penelope Hightower Stockton on 29 DEC 1895 in Hardin TN. Their known children were Bertha Shipman, William McKinley Shipman, Jewell S. Blanche Shipman, Edgar Shipman, Garland Shipman, Florene Shipman, Ethel Shipman, Ottie Shipman and Oscar Shipman. She was born SEP 1881 in Itawamba, MS. She died 1957. She married Walter Montgomery Shipman on 29 DEC 1895 in Hardin TN. Their known children were Bertha Shipman, William McKinley Shipman, Jewell S. Blanche Shipman, Edgar Shipman, Garland Shipman, Florene Shipman, Ethel Shipman, Ottie Shipman and Oscar Shipman. He was born 6 AUG 1889 in Hardin county, TN. He died 3 OCT 1926 in Arkansas. He married Nellie Mae Bazzell on 27 DEC 1906 in Hardin county, TN. 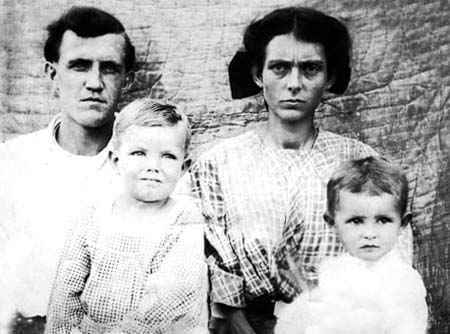 Their known children were John Corbin McKinney, Nellie Drue McKinney and Mary Eudora McKinney. He married Lenus Mae Loyd on 1 JAN 1917 in Hardin county, TN. Their known children were Lenora Mae McKinney, Lloyd Rosemond McKinney, Irene "Dimple" McKinney, Henry Boyd "Hank" McKinney and Thomas Eldred McKinney. She was born 28 AUG 1888 in Hardin, TN. She died 21 MAR 1914 in Hardin, TN. She married John Rosemond McKinney on 27 DEC 1906 in Hardin county, TN. Their known children were John Corbin McKinney, Nellie Drue McKinney and Mary Eudora McKinney. She was born 1849 in Wayne TN. Her known child was Walter Montgomery Shipman. He was born ABT 1849 in Itawamba, MS. He married Sarah Jane Hall on 16 DEC 1870 in Itawamba, MS. Their known children were Martha Caledonia Stockton, John W. Stockton, Oscar Stockton, Almeda Stockton, Penelope Hightower Stockton, Dallas Franklin Stockton and Jackie Stockton. She was born JUL 1842 in Itawamba, MS. She married Andrew Jackson Stockton on 16 DEC 1870 in Itawamba, MS. Their known children were Martha Caledonia Stockton, John W. Stockton, Oscar Stockton, Almeda Stockton, Penelope Hightower Stockton, Dallas Franklin Stockton and Jackie Stockton. He was born 12 FEB 1859 in Franklin county, AL. He died 30 JAN 1925 in Hardin county, TN. He married Martha Elizabeth Sanders on 6 NOV 1888 in Hardin county, TN. Their known children were John Rosemond McKinney, Alma Drue McKinney, Mack Henry McKinney, son (stillborn) McKinney, Ethel McKinney, George A. McKinney and Irene L. McKinney. She was born 19 SEP 1861 in Hardin county, TN. She died 21 FEB 1942 in Hardin county, TN. She married Willliam Hugh McKinney on 6 NOV 1888 in Hardin county, TN. Their known children were John Rosemond McKinney, Alma Drue McKinney, Mack Henry McKinney, son (stillborn) McKinney, Ethel McKinney, George A. McKinney and Irene L. McKinney. He was born 10 JUL 1859 in Calloway, KY. He died AFT 1910 in Hardin county, TN. He married Sarah Wilson Sawyers on 9 MAR 1879 in Hardin, TN. Their known children were William Thompson Bazzell, Mary Alice (Mamie) Bazzell, Nellie Mae Bazzell, Vertie Eudora Bazzell, Carra Lily Bazzell and Nora Bazzell. She was born NOV 1858 in Hardin, TN. She died 1940 in Tishomingo, MS. She married Harris Jones Bazzell on 9 MAR 1879 in Hardin, TN. Their known children were William Thompson Bazzell, Mary Alice (Mamie) Bazzell, Nellie Mae Bazzell, Vertie Eudora Bazzell, Carra Lily Bazzell and Nora Bazzell. He was born 1825 in Wayne TN. He married Mary Jane Pickens. Their known children were Sarah Mahala Shipman, Elizabeth Oak Shipman, Causidie T. Shipman, Sinea Shipman, Mary D. Shipman and Lovie (Laura) C. Shipman. She was born ABT 1826 in TN. She married Wilson Shipman. Their known children were Sarah Mahala Shipman, Elizabeth Oak Shipman, Causidie T. Shipman, Sinea Shipman, Mary D. Shipman and Lovie (Laura) C. Shipman. He was born 1796 in NC. His known child was Andrew Jackson Stockton. He married Adeline Green. Their known child was Sarah Jane Hall. She married William C. Hall. Their known child was Sarah Jane Hall. He was born 1832 in MO. He married Nancy Nelson. Their known children were Laura J. McKinney, Willliam Hugh McKinney, Narcissa Alice McKinney and Mary Alma McKinney. She was born ABT 1832. She died AFT 1900. She married Andrew Johnson McKinney. Their known children were Laura J. McKinney, Willliam Hugh McKinney, Narcissa Alice McKinney and Mary Alma McKinney. He married Drucilla White. Their known children were Martha Elizabeth Sanders, Eliza J. Sanders and Josephine Sanders. She was born 31 MAY 1841 in KY. She died 31 MAY 1913 in Hardin county, TN, White Sulphur Cemetery. She married Unknown Sanders. Their known children were Martha Elizabeth Sanders, Eliza J. Sanders and Josephine Sanders. He was born ABT 1835 in KY. He died ABT 1897 in Hardin County, TN. He married Mary Lucretia Wyatt on 30 AUG 1858. Their known child was Harris Jones Bazzell. He married Rosaline Ashby on 13 APR 1871 in Marshall, KY. Their known children were Robert Lee Bazzell, Leona Bazzell, Nelly B. Bazzell and Finley Bazzell. She was born ABT 1839 in Marshall, KY. She died BEF 1870 in KY. She married Calvin Thomas Bazzell on 30 AUG 1858. Their known child was Harris Jones Bazzell. He was born 11 MAR 1823 in Morgan, AL. He died 20 JUN 1908 in Hardin, TN. He married Mary Emeline Jenkins on ABT 1850 in MS. Their known children were Amanda Sawyers, William Sawyers, Sarah Wilson Sawyers, Mary Louise Sawyers and Richard J. Sawyers. She was born 25 NOV 1827. She died 2 FEB 1887 in Hardin, TN. She married William Cooper Sawyers on ABT 1850 in MS. Their known children were Amanda Sawyers, William Sawyers, Sarah Wilson Sawyers, Mary Louise Sawyers and Richard J. Sawyers. He died 1838. He married Elizabeth Austin. Their known children were Daughter Shipman, Edward Shipman, Dorcas Shipman, Moses Shipman, Stephen Shipman, Daughter Shipman (2), James Shipman, Wilson Shipman, Aaron P. Shipman, John A. Shipman and Daughter Shipman (3). She was born ABT 1786. She died 15 MAR 1858. She married Daniel Shipman. Their known children were Daughter Shipman, Edward Shipman, Dorcas Shipman, Moses Shipman, Stephen Shipman, Daughter Shipman (2), James Shipman, Wilson Shipman, Aaron P. Shipman, John A. Shipman and Daughter Shipman (3). He was born 28 DEC 1795 in SC. He died 1 JUN 1858 in Hardin county, TN. He married Mahala Record. Their known children were Sion Record Pickens, James Green Pickens, Mary Jane Pickens, Elizabeth B. Pickens and Archibald Garner Pickens. He married Sarah Cooper on ABT 1835. 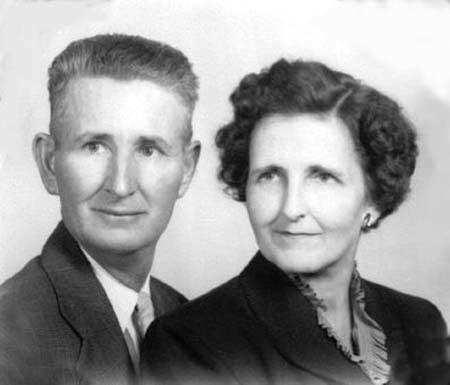 Their known children were Hannah Elizabeth Pickens, Mahala Pickens, Lydia A. Pickens, Margaret Pickens, John C. Pickens, Jeremiah Pickens, Sarah Pickens and Jonathan R. Pickens. She was born ABT 1800 in Maury, TN. She married Jonathan Reece Pickens. Their known children were Sion Record Pickens, James Green Pickens, Mary Jane Pickens, Elizabeth B. Pickens and Archibald Garner Pickens. He married Ann Pattison. Their known child was John Clayton Stockton. She married Joseph Stockton. Their known child was John Clayton Stockton. He was born 1764 in Virginia. He died 11 APR 1852 in Little Bear Creek, Franklin county, AL. He married Mary Spradlin on 5 JAN 1819 in Lawrence county, AL. Their known children were Catherine McKinney, Ann McKinney, Andrew Johnson McKinney, Houston A. McKinney and Elizabeth McKinney. She was born 1802 in South Carolina. She married Johnson (the elder) McKinney on 5 JAN 1819 in Lawrence county, AL. Their known children were Catherine McKinney, Ann McKinney, Andrew Johnson McKinney, Houston A. McKinney and Elizabeth McKinney. He was born ABT 1806. He married Jane Unknown. Their known children were Narcissa Nelson, Nancy Nelson and Catherine Elizabeth Nelson. She was born ABT 1810. She married Hugh Nelson. Their known children were Narcissa Nelson, Nancy Nelson and Catherine Elizabeth Nelson. He was born 1807 in KY. He married Matilda Ann Adams on 30 JAN 1833 in Lauderdale county, AL. Their known children were John J. White, William T. White, Marcus Lafayette White, Drucilla White, Richard A. White, Elizabeth Susan White, Louisa White, Evan Calvin White, Mary J. White and Andrew Jackson "Jack" White. She was born 1816 in Lauderdale county, AL. She died AFT 1880. She married Reese Lafayette White on 30 JAN 1833 in Lauderdale county, AL. Their known children were John J. White, William T. White, Marcus Lafayette White, Drucilla White, Richard A. White, Elizabeth Susan White, Louisa White, Evan Calvin White, Mary J. White and Andrew Jackson "Jack" White. He was born 1800 in Caswell, NC. He died ABT 1880 in Calloway, KY. He married Betsy Stokes on 9 JAN 1817 in Caswell, NC. Their known children were Smith L. Bazzell, Mathias M. Bazzell, Robert J. Bazzell, Martha Bazzell, Lucinda B. Bazzell, Richard R. Bazzell, A.M. Bazzell, Calvin Thomas Bazzell and Josiah A. Bazzell. He married Rhoda Jane Tucker on 13 MAY 1843 in Calloway, KY. Their known children were Eliza Bazzell, Milissa A. Bazzell and Joseph Bazzell. She was born ABT 1800 in NC. She died BEF 1842 in Calloway, KY. She married Grancer Kindal Bazzell on 9 JAN 1817 in Caswell, NC. Their known children were Smith L. Bazzell, Mathias M. Bazzell, Robert J. Bazzell, Martha Bazzell, Lucinda B. Bazzell, Richard R. Bazzell, A.M. Bazzell, Calvin Thomas Bazzell and Josiah A. Bazzell. He was born 6 DEC 1816 in Marshall, KY. He died 11 JAN 1886. He married Susan Caroline Bazzell on ABT 1837. Their known children were William S. Wyatt, Mary Lucretia Wyatt, Martha Jane Wyatt, James H. C. Wyatt, Nancy Helen Wyatt, George Harrison Wyatt, Laura L. Wyatt, Bazzell Holland Wyatt and Jefferson Wyatt. He married Mrs. Frances Noel Unknown on 6 DEC 1864 in Marshall county, KY. They had no known children. She was born ABT 1822 in NC. She died 1863 in KY. She married William Harrison Wyatt on ABT 1837. Their known children were William S. Wyatt, Mary Lucretia Wyatt, Martha Jane Wyatt, James H. C. Wyatt, Nancy Helen Wyatt, George Harrison Wyatt, Laura L. Wyatt, Bazzell Holland Wyatt and Jefferson Wyatt. He was born 1785 in VA. He died BEF 1860. He married Sarah Unknown. Their known children were James Sawyers, William Cooper Sawyers, Martha Sawyers and Eliza Sawyers. She was born 1790 in VA. She married Bailey Sawyers. Their known children were James Sawyers, William Cooper Sawyers, Martha Sawyers and Eliza Sawyers. He was born ABT 1806 in Orange, NC. He died 20 SEP 1873. He married Sarah Dowd. Their known children were Mary Emeline Jenkins, Alexander Wilson Jenkins, William Neal Jenkins, John Sanford Jenkins, Richard Lewellin Jenkins and Sarah Dowd Jenkins. He married Mary Ann Roberts on AFT 1840. They had no known children. He married Mary Russell on AFT 1851 in Hardin, TN. Their known child was Virginia Jenkins. She was born ABT 1808 in Chatham, NC. She died 1850 in Hardin, TN. She married James Wilson Jenkins. Their known children were Mary Emeline Jenkins, Alexander Wilson Jenkins, William Neal Jenkins, John Sanford Jenkins, Richard Lewellin Jenkins and Sarah Dowd Jenkins. He was born 4 NOV 1755 in Halifax, aka Pittsylvania Co, VA. He died 1850 in Hardin TN. He married Dorcas Pinson on ABT 1775 in VA. Their known children were William Austin, Josiah Austin, Saunders A. Austin, Robert Austin, Elizabeth Austin, Benjamin Austin, John Austin, Stephen Austin, Rebecca Austin, Eliza Austin and Mary W. Austin. She married Stephen Austin on ABT 1775 in VA. Their known children were William Austin, Josiah Austin, Saunders A. Austin, Robert Austin, Elizabeth Austin, Benjamin Austin, John Austin, Stephen Austin, Rebecca Austin, Eliza Austin and Mary W. Austin. He married Penelope Unknown. Their known child was Mahala Record. She married Sion Record. Their known child was Mahala Record. He was born ABT 1780 in Greeenville, South Carolina. He married Nancy Sparks. Their known children were Enoch R. Nelson, John Lemuel Nelson, Hugh Nelson, Benjamin F. Nelson and Mahalia Nelson. She was born ABT 1783 in South Carolina. She married Robert Nelson. Their known children were Enoch R. Nelson, John Lemuel Nelson, Hugh Nelson, Benjamin F. Nelson and Mahalia Nelson. He married Susannah LNU on ABT 1767. Their known children were Betsy Stokes, Kizziah Stokes, Margaret M. (Peggy) Stokes, Mathias Moore Stokes, Melinda Stokes and Nancy Stokes. She married Amasa Stokes on ABT 1767. Their known children were Betsy Stokes, Kizziah Stokes, Margaret M. (Peggy) Stokes, Mathias Moore Stokes, Melinda Stokes and Nancy Stokes. He was born 4 APR 1796 in NC. He died 28 JAN 1858 in Marshall county, KY. He married Lucretia Dunn on 20 FEB 1816 in Christian, KY. Their known children were William Harrison Wyatt, Elizabeth Wyatt, Rayburn Washington Wyatt, Henry C. Wyatt, George W. Wyatt, Martha Wyatt, Helen Wyatt, Catherine Wyatt, Nancy H. Wyatt, Mary Ann "Polly" Wyatt and Sarah Jane Wyatt. She was born 14 OCT 1796 in SC. She died 5 APR 1890 in Marshall county, KY. She married Marcus McGilbra Wyatt on 20 FEB 1816 in Christian, KY. Their known children were William Harrison Wyatt, Elizabeth Wyatt, Rayburn Washington Wyatt, Henry C. Wyatt, George W. Wyatt, Martha Wyatt, Helen Wyatt, Catherine Wyatt, Nancy H. Wyatt, Mary Ann "Polly" Wyatt and Sarah Jane Wyatt. He had no known children. He married Mary McBee. Their known child was Stephen Austin. She married John Austin II. Their known child was Stephen Austin.